Home » Coupons » Liquid Web Cloud Sites Review – Why is it So Expensive? Liquid Web Cloud Sites Review – Why is it So Expensive? Liquid Web is one of the highest rated hosting services for several reasons. Just as with any other provider you get for you pay for. But with Cloud Sites, you pay a lot more. And I can tell you it’s well worth every penny. You can check out pricing and discounts on my Liquid Web coupon code page. Here’s a comprehensive Liquid Web Cloud Sites review. This is in contrast to providers like Hostgator, who offer a huge range of coupon codes. This is because Liquid Web is looking for clients who appreciate the value they bring, and are not exactly looking to find the cheapest web hosting. In fact, Liquid Web made a decision to do away with their shared hosting plans, since they found that they were unable to maintain the same quality of customer care at such low rates. The Liquid Web coupons on this site are meant for you to try out the service at a lower cost, rather than help you save money with long-term huge discounts. What Is Liquid Web Cloud Sites? Cloud sites is Liquid Web’s version of shared hosting. Instead of a single account for a single site, the idea is for you to have just one product to manage a whole bunch of sites for clients. So if you’re a developer and maintain the websites of several of your clients, you can use Liquid Web Cloud Sites as a single place for all of them. And you can create custom dashboards and sign ins for each of your clients, to let them access their sites. Cloud Sites is a fully managed hosting platform that supports several CMSs – from WordPress to Joomla. Developing sites in PHP or .NET? Cloud Sites has you covered! If you create or manage websites for a living, Cloud Sites makes it easy to do exactly that. Cloud Sites is nothing like your ordinary web hosting service. It is a premium offering that has more features than you could dream of. For instance, you can host an unlimited number of websites and apps in a single account! There is no limit to the number of site visitors. With 50 GB SSD storage and 1TB bandwidth, you don’t have to worry about running out of either. The standard package even comes with built-in autoscaling and a free CloudFlare CDN. What if you manage multiple websites for several different clients? You can create separate accounts for each client. Give each client their own dashboard to view usage stats and metrics. All this is definitely more than what you would get from your typical hosting provider or shared hosting. When it comes to technology, no one can offer 100% guarantees. Except for Liquid Web Cloud Sites! Cloud Sites guarantees 100% site uptime at high speeds throughout the year. What happens if one of your sites goes down? Liquid Web will credit you 10 times the cost of hosting for the downtime! That’s seriously insane in an industry that’s not always reliable. Even with all these features, you may be thinking it is still too expensive for what you get. But wait, there’s more. Cloud Sites offers Heroic Support, something that is unmatched in the industry. Billing themselves as The “Most Helpful Humans in Hosting”, Cloud Sites offers support guarantees like you wouldn’t believe. If you contact the support team over the phone or chat, they guarantee you will get a response within 59 seconds! Contacting the helpdesk? Get an initial response within 59 minutes. I don’t know any other vendors who promise response times of under a minute. Quality hosting customer support isn’t cheap. Once again we come back to the cliché of getting what you pay for. 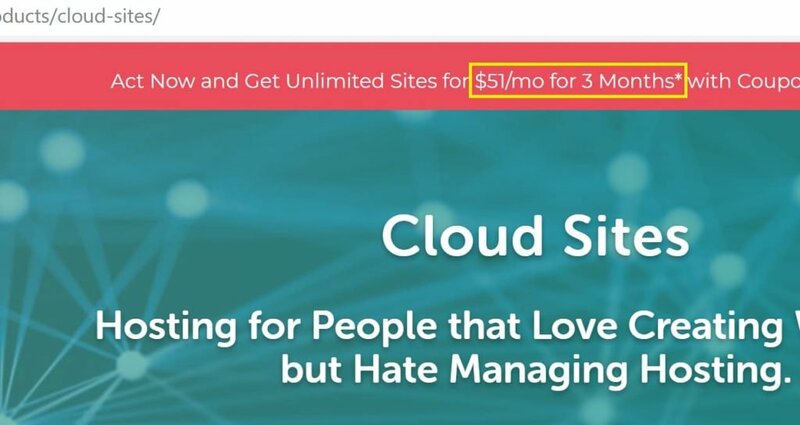 In my opinion, Cloud Sites actually gives you more than what you pay! Does Liquid Web Cloud Sites Use cPanel? This is one of the unique features of Cloud Sites. It doesn’t have a traditional cPanel page at all. Cloud Sites offers a custom interface for creatives. If you’re the kind of person that loves messing around with cPanel plugins or changing every setting until it matches your needs, Cloud Sites is not for you. But if you love developing websites and hate the administrative work? Then this is a match made in heaven! Does Liquid Web Cloud Sites offer Free SSL? Yes. Since Cloud Sites doesn’t have a traditional cPanel, installing SSL certificates is slightly more complex than usual. But it does support free SSL certificates from Let’s Encrypt for all its hosting solutions. Not only that but each certificate is valid for 90 days and will be automatically renewed before they expire. Install certificates for all your websites or just a few, it doesn’t matter. Everything is included in the plan. How Can I Check Liquid Web Cloud Sites Status? Scheduled maintenance and other incidents have clear data on time, investigation, monitoring and fixes. Does Cloud Sites Have SSH Access? While Liquid Web’s other products have cPanel or SSH access, Cloud Sites doesn’t. Now before you panic, it’s not likely that you will need SSH access in the first place. Cloud Sites is all about hassle-free hosting. Between their one-click installers, file management system, and finetuned services, you won’t miss SSH at all! Does Cloud Sites Have Free Backups? The Cloud Sites platform takes snapshots of its clusters every night and maintains them for 32 hours. But these are more for their own infrastructure support. It’s not the best way to keep backups of your websites. While there is no built-in way to take automatic backups, Cloud Sites does have a third-party tool that is accessible from the control panel. As always, I would recommend keeping your own local and off-site backups for each site. 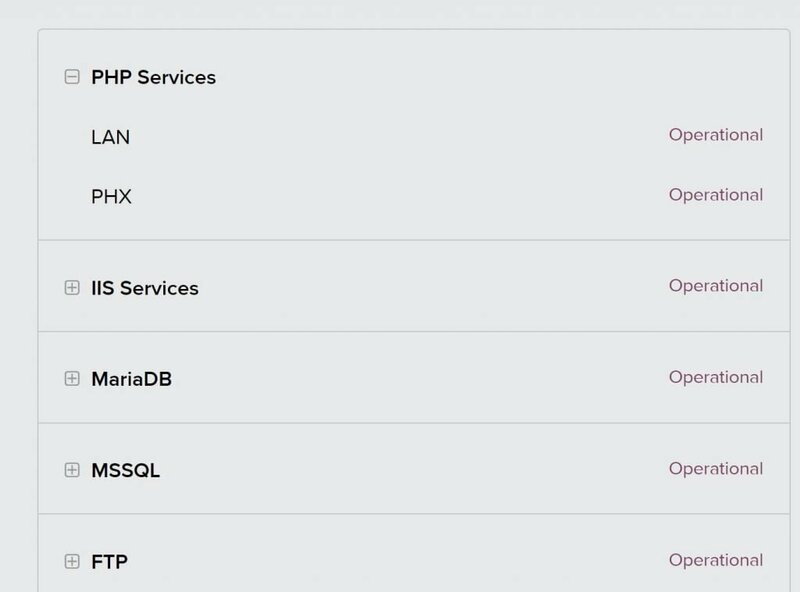 If you’re looking for hosting with backup, here are some hosting providers that offer free backup services. Well, that’s my complete review on Cloud Sites. It’s not cheap but you get a lot more than what other vendors offer. It’s extremely powerful, easy to use, and offers plenty of storage and bandwidth. It also simplifies website creation, hosting, and client management. If you want hassle-free hosting with 100% uptime guarantees and excellent support, you won’t find anything better than Cloud Sites.